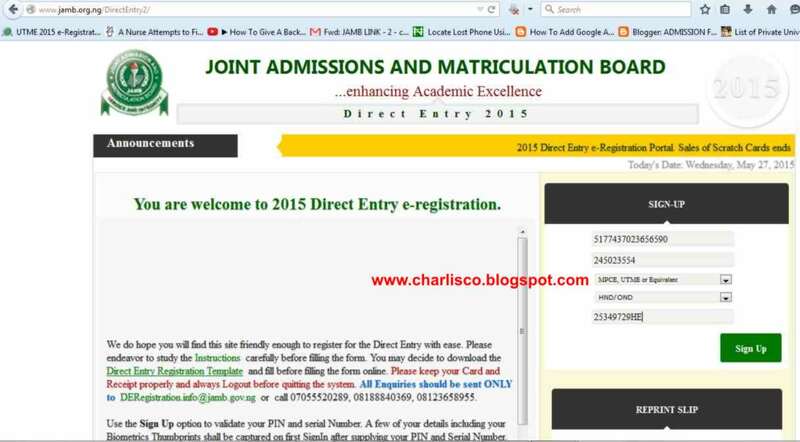 By following these eight (8) Simple Steps, you will be able to register 2015 Jamb Direct. 2. 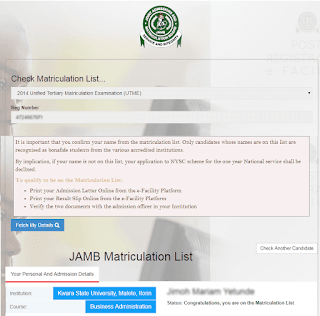 Your Previous MPCE or UTME Registration Number. 3. JAMB Direct Entry Scratch Card Pin and Serial Number. 4. Finger Print Scanner (Digital Persona). 5. Java Runtime version 1.6. or 1.7 only. Re-enter/edit your date of birth if you wish to make changes to it. 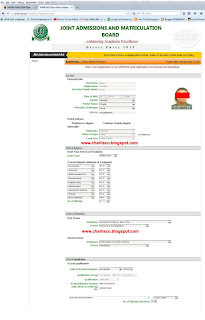 Go through all the information you have filled in, if you found any mistake click on edit registration to make changes. Print out at least two copies of your photo card after submitting.